Hello Happy first Wednesday of the New Year and the first Wednesday Inspiration of 2011. This week my inspiration is "January" (how original!) 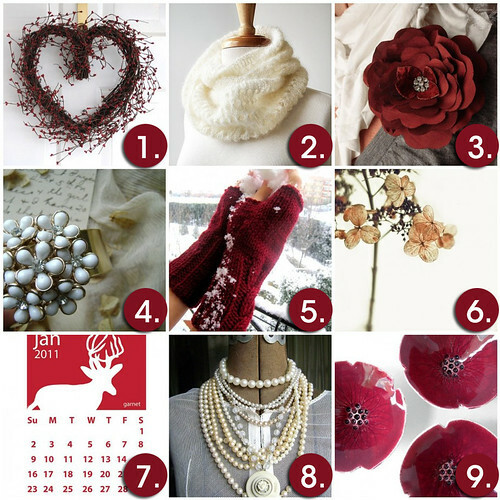 I'm inspired by January's winter whites, warm & cozy knits, deep garnet colors, clean and organized spaces. I would love to know what is inspiring you this week. Please post a comment with the link and/image and show me! I hope you enjoy these January inspired finds from across etsy!